A man is suing the city of Tallahassee claiming he was falsely arrested and his dog was tased in June of 2014. We now have dash cam footage from back in 2014 when the arrest took place. What starts out as a police confrontation turns physical when two officers try to take the man into custody. And in the process, one of the officers is clearly seen firing his taser gun at the dog and then helping the other officer subdue the man on the ground. You can see Don Arellano on the phone and holding his dog by the leash, with two officers nearby. One of the officers confronts Arellano, but the video doesn’t include sound of that conversation. At some point, both officers work to detain him, prompting the dog to try to reach his owner. An officer pulls out his stun gun, shooting the dog. Then, the two officers forcefully bring Arellano to the ground. 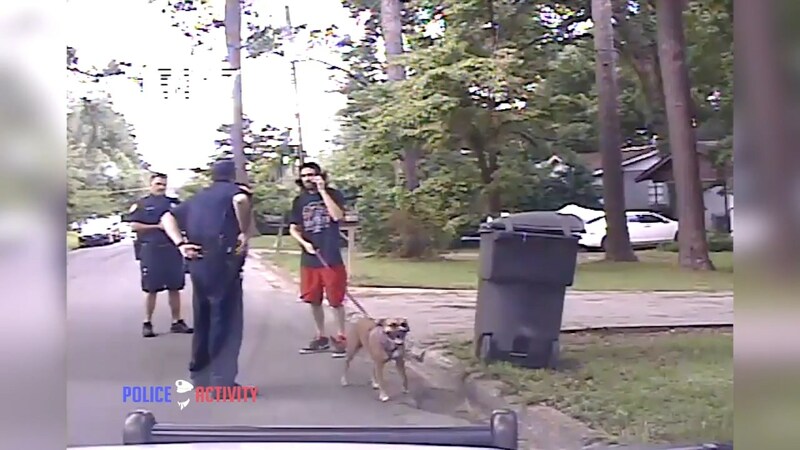 In the video, you can hear him yelling for the dog while police ask him to stop resisting and to cooperate. Arellano is suing the city and both officers for damages of up to $15,000. Tallahassee Police Department says it will not comment on pending litigation.